This article is about the town Pomobamba in Peru. For information on the province and the district with the same name, see, Pomabamba (disambiguation). 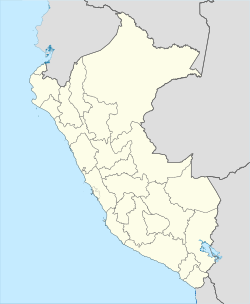 Pomabamba (Quechua Pumapampa, puma cougar, pampa large plain, "cougar plain") is a town in the Pomabamba District of the Pomabamba Province in the Ancash Region of Peru. This page was last edited on 28 March 2018, at 03:38 (UTC).